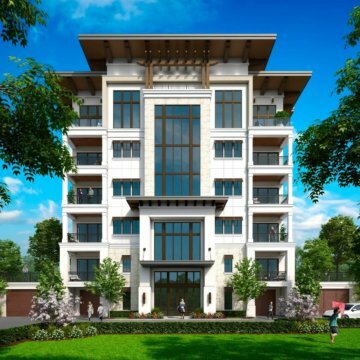 Our team of architects and residential designers located in Naples and Palm Beach are passionate about bringing your vision to life and are dedicated to creating a beautiful custom home design that will exceed your highest expectations. We invite you to browse through our portfolio of custom homes designed for clients around the world. Learn about our residential design process, and contact us to get started! The group of seasoned architects and designers we have assembled possess a diverse style and range of commercial architecture experiences. Our service offerings include those for condominium, retail, office, medical facilities, retirement home, restaurant, clubhouse, resort, and mixed-use to name just a few. We encourage you to contact us today to begin a dialogue about your project scope. 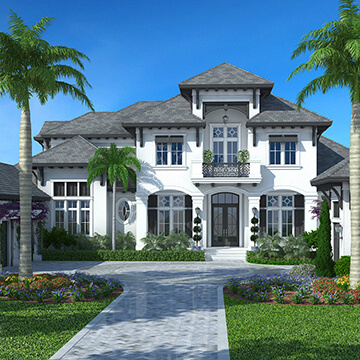 Our house plan search engine offers hundreds of unique stock plan designs to choose from in today’s most popular architectural styles such as Modern, Coastal, Contemporary, Mediterranean, West Indies, Florida, Waterfront and Golf Course home plans. As the original architects, we can beautifully modify any of our home plans to better suit your needs. Visit our photo gallery to view images of our completed house plans.